My favorite podcasts for new solopreneurs looking to up-level on business & marketing smarts - fast. 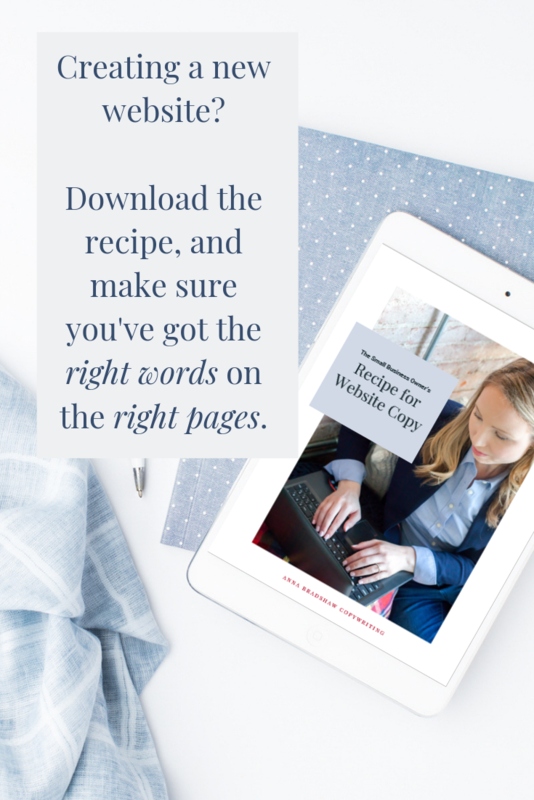 My reality tv watching is paying off - today on the blog: 3 unexpected lessons from Beat Bobby Flay that will elevate your website copy today. Trendy new direct-to-consumer brands seem to pop up every week. Companies like Glossier that sell cosmetics directly to consumers, skipping the traditional drugstore/department store middle man. Where brands once depending on distributors and re-sellers, new startups are beginning to realize they have all the technology and tools they need to build their brand independently. This week HBR published an article on how consumers choose to buy products online. Ecommerce is a different ballgame from brick and mortar business for a few big reasons. One of them is that way fewer shoppers convert to purchasers online than in stores. And it makes sense. So online marketers have to be extra smart about converting browers into buyers. If I’m going to shopping at the mall, by the time I get to the check-out counter, I’ve already invested my time and energy in driving to the store, walking through the display racks, and perhaps trying on a few garments. Even if I’m only somewhat satisfied with the merchandise at this mall, I probably won’t feel like investing even more time and energy to drive across town for a slightly better version. I don’t go through the hassle without some intent to purchase. But online, it’s easy to check out store after store with just a few clicks. And I’ll often visit store sites just to research prices, or check out new trends, with little intent to buy. SO ONLINE MARKETERS HAVE TO BE EXTRA SMART ABOUT CONVERTING BROWSERS INTO BUYERS.